Jeremy Corbyn Apologizes for Anti-Semitism in the Labor Party. British Labor Party leader Jeremy Corbyn acknowledges anti-Semitism in the party. 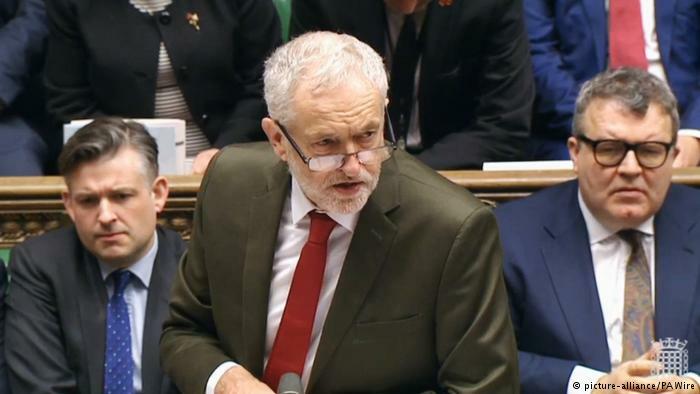 The British Labor leader Corbyn has admitted anti-Semitism in the ranks of the party and apologised for it. In a video Corbyns on Twitter states, who denies the problem, even contribute to it. Jewish organisations criticised Corbyn. They accused him of tolerating anti-Semitism in Labor. Corbyn now emphasised that people with anti-Semitic views have no place in the party. Also one had punished insults by party members in the social media too slowly. Immediately before, Parteivize Watson had called for swift action, stating that Labor would otherwise sink into a vortex of eternal dishonour.